You work with chocolate so you know the characteristics of perfectly tempered chocolate. It is glossy, evenly colored and snaps crisply when broken. But you also know that it has not been always easy to attain this level of perfection. The EZtemper seed generator developed and manufactured by the Chocolate Doctor, Inc. guarantees this result every time.  Designed specifically for the small-to-medium production facility the EZtemper offers an economical, efficient and speedy method of producing perfectly tempered chocolate. The EZtemper produces and maintains a constant supply of crystallized cocoa butter which we call silk. When introduced in minute quantities to chocolate mass which is at the appropriate temperature this silk will instantly temper it. ▫︎ Fast - Bring chocolate to temperature, add silk, stir. Tempering is almost instant. ▫︎ Simple - If you can weigh and stir, you can temper. ▫︎ No staff training costs - Employees can use this with precision within an hour. ▫︎ No other major equipment necessary - EZtemper is all you need. ▫︎ Operates on the voltages in ALL countries - with a simple wall plug adapter. Once your product has reached working temperature, seed it with the appropriate amount of the cocoa butter silk produced by EZtemper and within one minute it will be in perfect temper and ready to use. With perfect temper guaranteed your product wastage will be reduced. Using the cocoa butter silk produced by EZtemper will allow you to work at higher temperatures and thus adjust the viscosity of your product. This enables you to pour thinner shells or use less product when enrobing. With EZtemper you can reduce your product costs by making gianduja in your own facility. Just add melted chocolate to hazelnut paste, cool and add the appropriate amount of silk. Immediately you can mold, fill pails or produce bars. If you are using a ganache in your product EZtemper can quickly and economically temper your ganache. Most artisan chocolatiers believe that a tempered ganache has a better mouth feel, a longer shelf life and is less likely to cause bloom. With the cocoa butter silk produced by EZtemper your tempered ganache can be cut within hours and dipped the same day. With the silk you can make bean-to-bar chocolate mass without additional cocoa butter and/or lecithin and it will allow for almost instant tempering of the mass for molding bars or filling pails. Two ingredient bean to bar manufacturers - check out the User Guide page to see a method to extract your own cocoa butter from your chocolate liquor to use in the EZtemper.